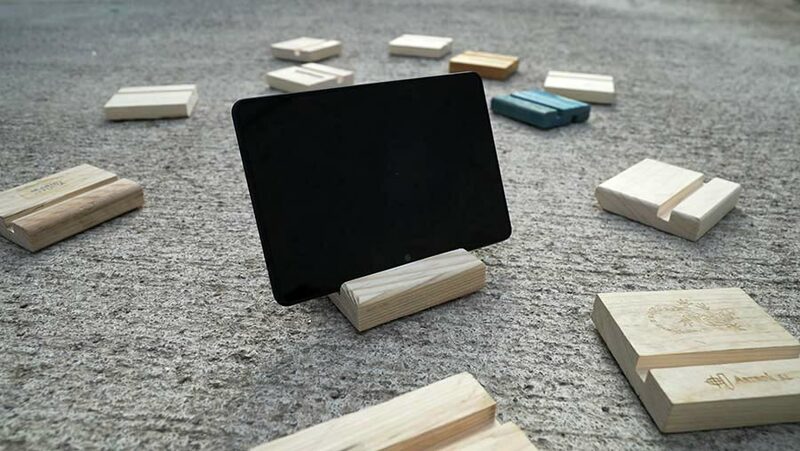 We have christened these products with the name “e-pallets”, wooden pallets converted to technological support pieces. 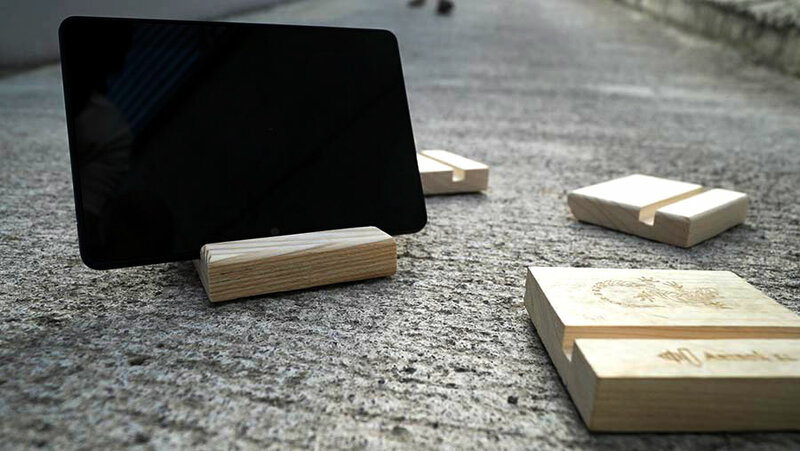 Wooden blocks that have been milled, polished and silk-screen printed to create support stands for mobile phones, tablets or iPads. These can be complimentary for guests or available for purchase. Personalized custom graphic design priced separately.